StyleNest have rounded up the best whimsical and animated Children’s Bedroom Wallpaper to help furnish your little one’s room in style. Wallpaper is the new paint, so StyleNest have rounded up the most fantastical print papers to help you decorate your little one’s bedroom or playroom. From wipe clean papers to personalised colour-in designs, we’ve have found the most magical designs to help your little one’s imaginations run wild. 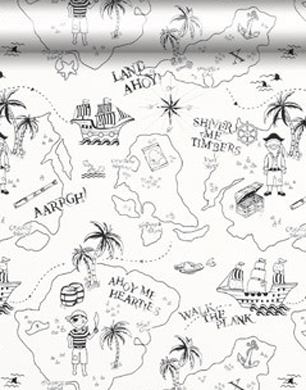 10cm pirate printed paper, which your child can colour in. 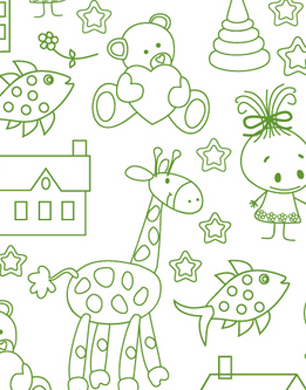 Little Captain Hook’s and mini pirates will have hours of fun getting creative and colouring in their wallpaper art. This friendly stencil print paper is great for younger children who love exciting animated prints. Transform your little girl’s bedroom into the fantasy kingdom she’s always dreamed of with this princess mural wallpaper. 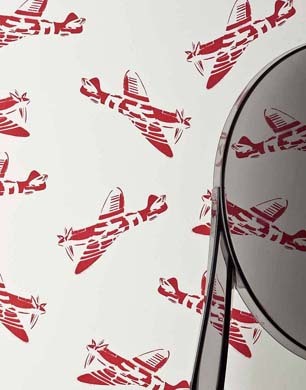 Little boys will love this spitfire wallpaper and will spend hours playing pretend pilots. Looks great as a feature wall or even the whole bedroom. 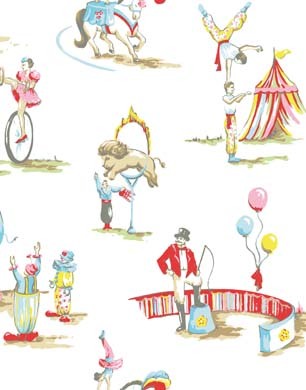 Kids love going to the circus so what better way to entice the kids to bedtime with this imaginative circus print wallpaper. 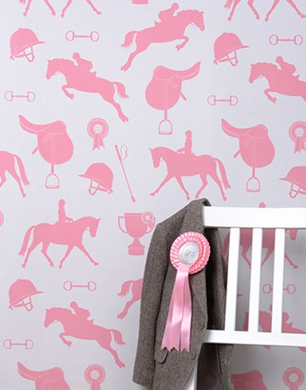 Little girls will love this equestrian theme wallpaper from contemporary children’s wallpaper boutique Hibou Home. Featuring prints of show jumping horses, rosettes, trophies, saddles and riding helmets this equestrian theme paper is the answer any little girl’s dreams. 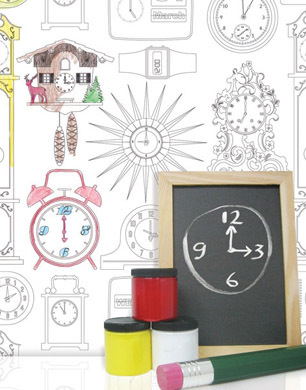 This Tick-Tock wallpaper looks great in black and white and for a splash colour get the kids to add a creative touch and colour in the clocks. 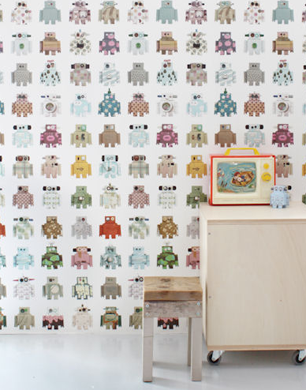 Gadget obsessed kids will love this vintage inspired robot wallpaper, which can rather handily be wiped clean with a damp cloth. 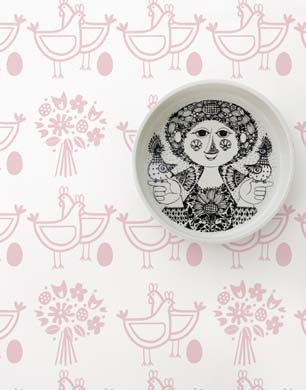 This pastel pink chicken print wallpaper is perfect for little girls. The shabby chic theme makes it ideal for nurseries and toddler’s bedrooms. This nostalgic ferris-wheel wallpaper is reminiscent of fairgrounds and circuses. 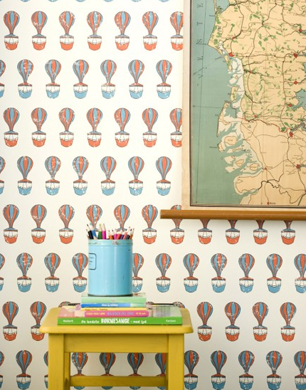 Both little boys and girls will love having this neutral yet fun wallpaper in their bedroom or playroom. 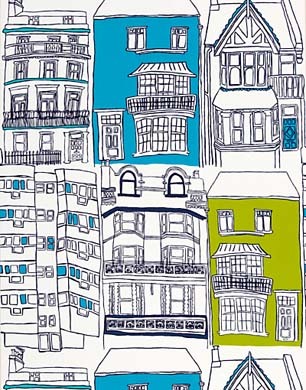 Older boys will love this trendy sketching of Brighton architecture. With splashes of turquoise and blue, boys will feel grownup and cool with this as a feature wall in their bedroom. 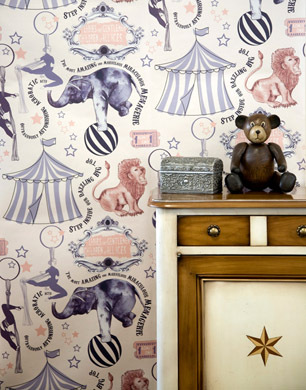 This nostalgic whimsical circus print wallpaper is reminiscent of the Victorian circus. 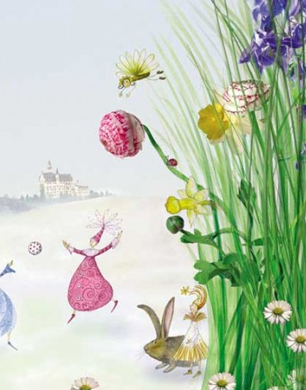 Beautifully animated, this paper will add life and colour to any little one’s bedroom. For pastel playroom ideas click here.